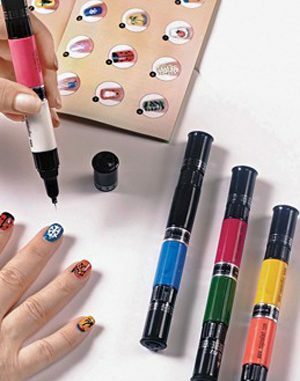 Instead of gifting you those Chilly Willy socks, your sister-in-law should have gone with this nifty nail art kit. 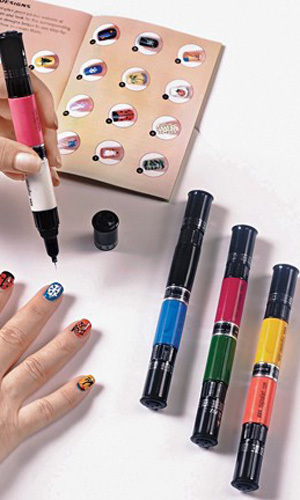 Complete with polish pens and a guidebook, this bad boy makes DIY nails extra easy. You just apply a coat of any color, let it dry, and then doodle using the pens. The accompanying book even has looks to copy and instructions to go with it. But, really, you have a blank canvas, so go nuts! Migi Nail Art, $19.99, available at Fresh Finds.